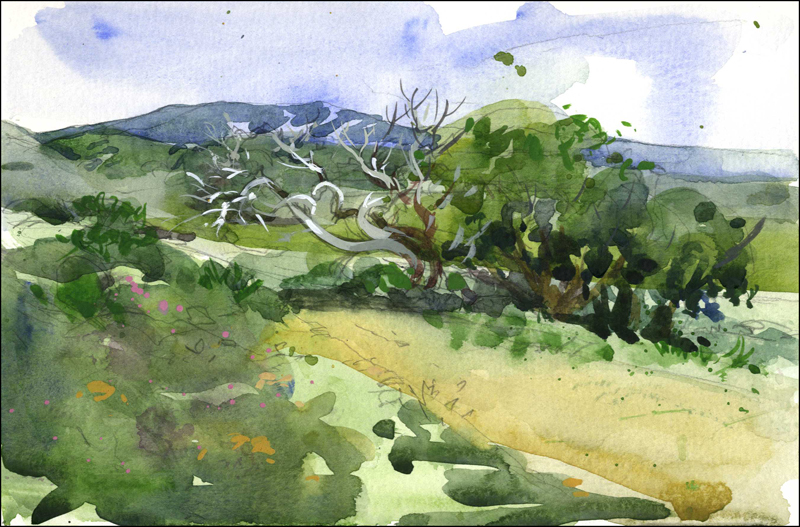 Just a 30 min, 6×9″ watercolor in the hills near the new office at Hamilton Field. We’ve moved from Soma in SF across the Golden Gate to Novato. Gives you an entirely different kind of lunch hour sketch.Was a beautiful day! Kind of hard to go back to work. GREAT,art-work of a master. Your are soo good!!!!!!!!!!!!!!!!!!!!!!!!! those are absolutely stunning !!! the last three are amazing!